We at Chickasaw Elementary School in partnership with parents, family, and the community are dedicated to creating an environment that ensures that all students achieve the highest standards both academically and socially to become lifelong learners and productive members of our global and diverse society. Chickasaw Elementary School students will be provided a positive school environment that enables every child to grow academically, physically, and socially while meeting national standards. 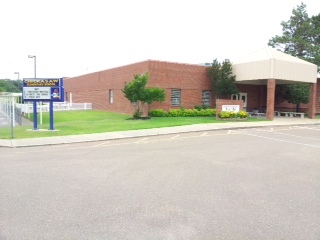 Chickasaw Elementary School has a current enrollment of approximately 530 students with eleven second grade classes and eleven third grade classes. There are thirty-four certified staff members. Special areas offered are library, guidance, music, speech, special education, gifted education, computer, art, and physical education activities. Chickasaw Elementary School excels in academic achievement and is proud of their parental involvement. Activies such as Family Reading Night, Family Math Night, Family Fitness Night, along with PE Play Days keep families up to date and informed about what their children are learning. The PTO offers numerous activities to keep the parents involved in their children’s education such as the Citizenship Workshop, Honor’s Program, Grandparent’s Day, Santa’s Workshop, PTO Membership Drive, Teacher Appreciation Week, and two fund-raisers during the school year.